For creative agencies, a “twenty-four seven” mentality or reputation implies dedication. It says your business can’t be constrained by the eight-hour day. That getting the job done for your clients is a round-the-clock pursuit. But wait—what about work-life balance? Isn’t a 24/7 reputation a red flag for incoming talent, signaling too-demanding hours and too much work volume, making it difficult to attract the best minds to your team? We have a different definition of Twenty Four 7. There is no such thing as “work-life” balance. It suggests that life separates into two buckets, and honestly, it doesn’t. That’s why we believe in “One Life.” This is the grounding principle of our organization that recognizes that each person in the agency has passions and values that are the same whether at work or not. 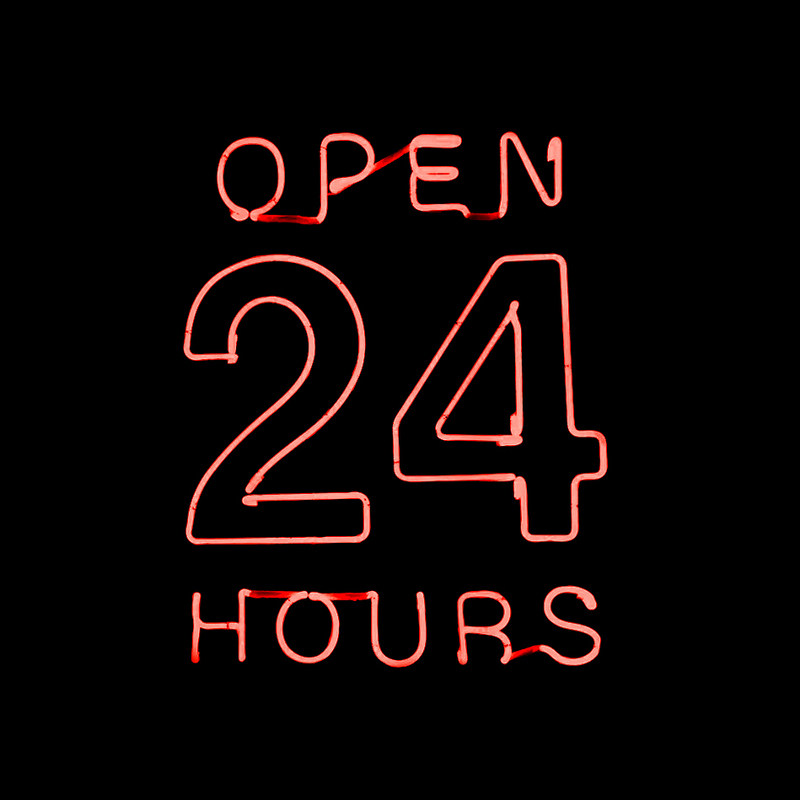 We celebrate all of those things, and having access to them whenever you want–twenty four hours a day, seven days a week. Our core characteristics make us who we are, and they don’t disappear when we walk into the office or vice versa. There is no inherent division of identity between work and life, so we don’t impose one. One Life isn’t limited to the HR aspects of our business either. It also goes a long way toward encouraging the risk-taking, entrepreneurial mindset we look for in our team members. In addition, the tenet of One Life also creates a culture that is conducive to personal and professional growth, fosters better relationships in the workplace, and produces better outcomes for our clients. Without artificial “work personas,” our team members are free to be themselves, and bring all of their experience and creativity to bear on whatever project they encounter. Sure, every company boasts work-life balance when you’re interviewing for a new job. But somehow, three, six months in, that HR-mandated mantra falls to the wayside and you start feeling guilty to leave work early to catch your son or daughter’s basketball game. That’s not the case here. One Life may be the result of being a woman-owned business. Regardless, we’ve seen it embraced by everyone in the agency, at all levels. It doesn’t discriminate. If your role leaves you unfulfilled, it may be because the culture is failing to recognize your whole self, which makes it difficult to draw out your best self. One Life is built to do exactly that. We recognize that One Life isn’t for all companies (or all professionals, for that matter), and we’re fine with that. It takes effort to cultivate and adhere to this philosophy, but we’ve found it’s the best way to ensure everyone on our team has the entrepreneurial spirit that sets Twenty Four 7 apart. If you think that might be a good fit for you, we have good news: we’re hiring. Check out our job descriptions here, and see if you’d like to be a part of our team, Twenty Four 7.